Hanoi (VNA) – Analog television signals will be switched off in 15 provinces from August 15 as part of the terrestrial television digitalisation roadmap of the Ministry of Information and Communication. The provinces include Quang Ninh, Thai Nguyen, Nam Dinh, Thai Binh, Ninh Binh, Bac Giang, Phu Tho, Ba Ria-Vung Tau, Binh Thuan, Dong Nai, Long An, Ben Tre, Dong Thap, An Giang, and Tien Giang. The ministry had informed residents in these provinces to prepare for the change. Earlier, over 530,000 poor and nearly-poor households were supported to access digital television. The coverage of the digital television enables TV viewers to enjoy 26-70 channels, including high-fidelity ones. More details will be updated on the website www.sohoatruyenhin.vn or the hotline 19001559. 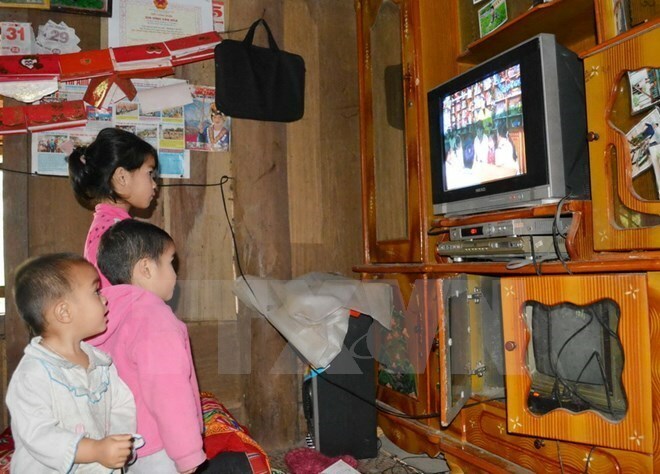 To complete the third phrase of ceasing analogue terrestrial television on December 31, 2017, Deputy Minister of Information and Communication Truong Minh Tuan requested relevant agencies to step up communications in the field. The Prime Minister issued Decision 2451-QD-TTg in 2011 approving a scheme on the digitalisation of the transmission of terrestrial television broadcasting by 2020 with a total cost of 1.71 trillion VND (75.1 million USD). Da Nang was the first locality in Vietnam and ASEAN to complete the digitalisation of terrestrial television broadcasts. The city replaced analogue with digital terrestrial TV from November 1, 2015.